Improve strength, posture and flexibility. Barre classes at Gainesville Health & Fitness Tioga are the hottest way to sculpt long, lean muscles while you improve your flexibility and develop improved body awareness. This increasingly popular strength-based class is a great way to cross train for muscle sculpting results. GHF Barre Classes offer more time on the barre than any other program in town. 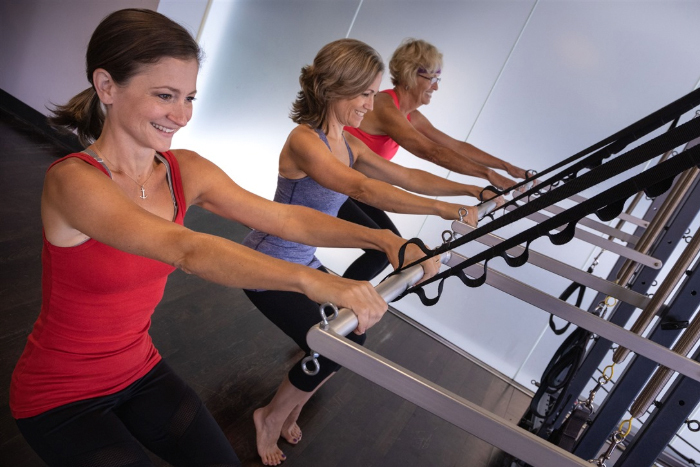 Using the ballet barre and your own body weight, you will transform your shape and improve strength, posture, and flexibility in this Pilates and dance-based class. Classes are offered in our beautiful, zen-inspired studio and led by certified Barre and Pilates instructors. 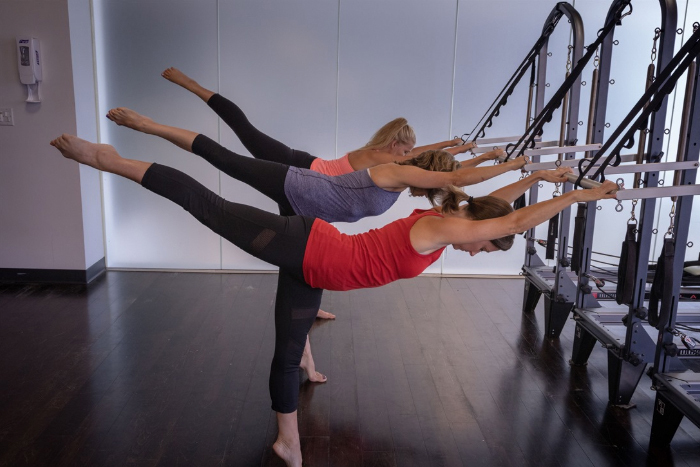 Pilates Barre is a hybrid training program that incorporates Ballet Barre moves on Reformer, Chair, Tower, and jumpboard to help you build a strong core, lean muscles, and improve posture, flexibility and balance. No prior dance experience is required. Experience firsthand all the benefits of Barre at GHF. Complete this form and Robin will be touch with your pass for one free week of Barre classes.